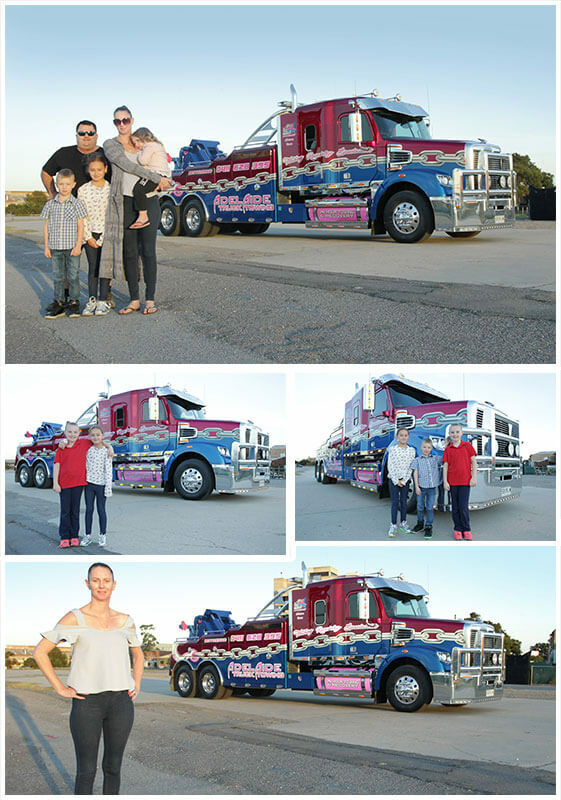 Established alongside its sister company, The Truck Factory, Adelaide Truck Towing is a family-owned heavy-vehicle towing, Tilt Tray Towing Adelaide and recovery business in Adelaide. Our mission is to transport commercial vehicles safely and professionally between locations, whether that involves collecting them from and returning them to their depots before and after repairs, hauling them out of a ditch on the side of the road, or pulling them out of a collision site. With years of experience behind them, our team is dedicated to helping drivers all over the country. We remain on stand-by during the holidays, and are always ready to respond to emergency calls. There are two main focuses in our business, both of which we are extremely passionate about: to tow heavy vehicles and to recover heavy vehicles from accidents, mishaps and collisions. Our advanced Tilt Tray Towing machinery and equipment allow us to lug even the heaviest of vehicles when they need help, which earned us the Best Tow Truck award at the Heywood Wood, Wine and Roses Truck and Ute Show in 2018. We pride ourselves on getting involved in our local community and supporting great causes. Our legendary tow truck, Bettylicious, not only helps truck drivers out when they need transport, but has also raised awareness for supporting breast cancer research at multiple local events. Tilt Tray Towing Adelaide Truck Towing participated in the Mother’s Day Classic Walk to support this same cause, and proudly raised awareness for the Hospital Research Foundation by attending the Longest Table Raise a Glass to Research Gala Night. Additionally, we love taking part in other local shows and events to raise funds for those in need and educate children about trucks and towing. Some of these include the Mannum Truck and Ute Show, the Mount Gambier Family Truck Show, the South Australian Road Transport Association gala and Gawler General Motors. In particular, we love supporting charities dedicated to South Australians in need.